In a video recorded by the police three days after Anni Dewani’s lifeless body was found on the backseat of a car belonging to shuttle taxi driver Zola Tongo, murder accused Xolile Mngeni is seen showing police the places he and a man called ‘Mawewe’ committed the crime. The video was viewed in the Western Cape High Court as part of evidence produced by the state in a trial-within-a-trial to determine the admissibility of Mngeni’s statement of confession to the police following his arrest on November 16, 2010. Anni Dewani was murdered just three days prior, on November 13 following what is believed to have been a staged hijacking in Gugulethu allegedly carried out by Mngeni and an accomplice, Mziwamadoda ‘Mawewe’ Qwabe. Qwabe has pleaded guilty and was in August sentenced to 25 years in prison. The driver and owner of the hijacked car, Zola Tongo, was sentenced to 18 years in prison in December 2010 after entering a plea bargain with the state. Tongo and Qwabe’s testimony has pointed to Anni’s new husband Shrien Dewani having ordered, through Tongo, hitmen to kill his bride. At 13:11, Mngeni is seen showing Ontong the crime scene at the corner of NY 1 and NY 111 and telling Ontong that this was the place where convicted taxi driver Zola Tongo was ordered out the hijacked vehicle. At 13:42, at Oscar Mphetha Drive in Khayelitsha this time, Mngeni is heard telling Ontong “this is where the husband (Shrien Dewani) was dropped (ordered out the vehicle)”. At 13:58, in Khayelitsha’s Sinqolamthi Street, Mngeni is heard telling Ontong: “Yhis is where we left the hijacked car,” before pointing to a hill and telling Ontong his accomplice, Mawewe, told him he went to hide in the bushes on the hill. At 14:08, in Khayelitsha’s Spine Road, Mngeni tells Ontong: “After we ran from the other side we ended up meeting here and here we exchanged the money.” The state contends that Shrien Dewani paid R15 000 for the contract killing and prior evidence in court was that R10 000 was stuffed into the backseat of the car. In cross examination, defence attorney Qalisile Dayimani put it to Ontong that the reason Mngeni pointed out these places was because he had been tortured and assaulted by police the previous day told what to say and what places to point out. 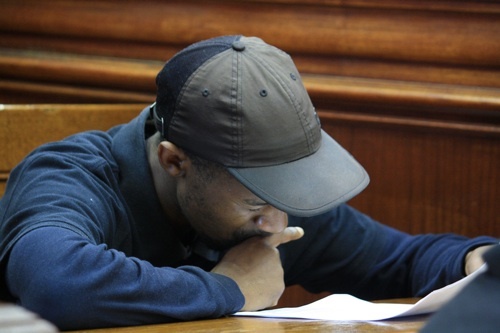 Mngeni, 25, has pleaded not guilty to kidnapping, robbery with aggravating circumstances, murder and possession of unlicensed firearm and ammunition. His version of what happened on the night of November 13, 2010 was that a friend of his, Mziwamadoda Qwabe, hijacked a vehicle driven by taxi driver Zola Tongo in Gugulethu. Shrien and Anni Dewani were in the backseat. He said Qwabe took the wheel and ordered Tongo out the car, later ordering Shrien Dewani to also get out. He said later, in Khayelitsha, Qwabe stopped the car, got out and opened the back door where Anni was sitting. A struggle ensued and a shot was fired, killing Anni. Qwabe, in his testimony to court, said Mngeni fired the fatal shot while he was driving the car. Shrien Dewani, who returned to the UK shortly after Anni’s murder, is embroiled in extradition proceedings. He appeared in the Westminster Magistrate’s Court on Wednesday where Chief Magistrate Howard Riddle was due to hear a psychiatrist’s update on Shrien’s mental health. Shrien has been diagnosed as suffering from severe depression and is suicidal and in July claimed he needed a year to recover before dealing with the extradition process.